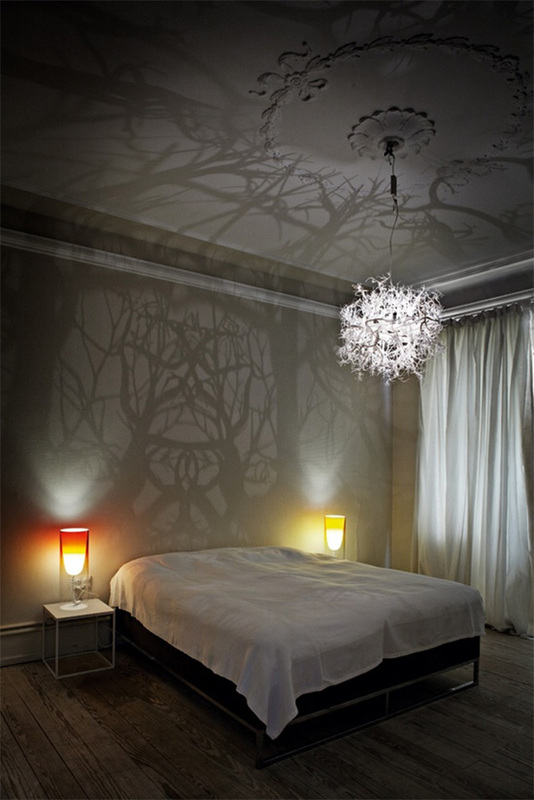 Not yet available, but already in demand, this amazing chandelier from Danish Hilden & Diaz projects a 360° shadow of trees and roots on the walls surrounding it. It was inspired by drawings of German biologist and philosopher Ernst Haeckel. I love it! Unfortunately it’s not available yet, but as this blog post shows, many people are keen for it to go in production! Just the other day I was talking to my sister about how we both set reminders for the next day if already in bed. We both grab whatever is closest to us (in distance, not to heart) and throw it towards the bedroom door. The next day, that grey throw pillow, t-shirt or sock automatically reminds us to pack the binoculars, call the cable company or pay that bill that’s due etc. This never fails. Our respective partners would probably not even remember if the binoculars, bill or cable guy himself was lying on the ground by the door. For them, of for anyone with an eye for design, there now is the Drawlamp. It’s a nifty designed ceramic lamp that you can draw on as many times as you like. So great for those last minutes mental notes, great ideas or other that pops to mind when you just can’t be bothered to get out of bed anymore. But naturally you can also draw a lamp on it, or any other picture that you like to see illuminated. I like it. And I can’t believe how something so simple and effective can seem so new? I don’t recall seeing it before. The lamp is designed by East-London based design studio Sam & Jude. You can buy it at Mookum for € 39,90. This truly magnificent chandelier is crafted from bone china fish. They ´swim´ around a beam of light. Designed by Dominic Bromley of Scabetti and a steal at around $5.000…. 2nd hand for the price of a new one. This ticks me off bad. On Dutch auction site marktplaats.nl I saw an ad for a 2nd hand Ikea lamp. Quite a lovely one, we have two at home. You can actually see them in the main image at the top of this site. We paid something like 32 euro for the two together. She states it’s made of glass, but believe me, it’s plastic. 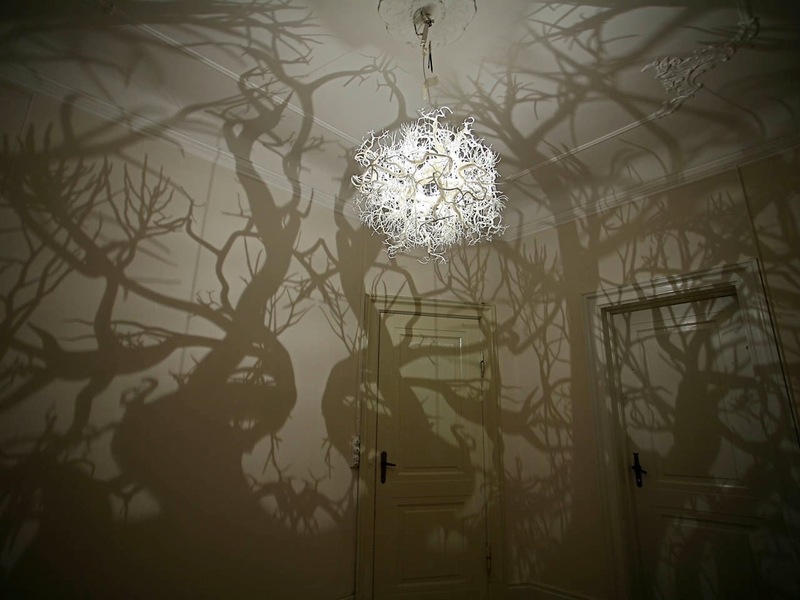 Nevertheless, it’s a lovely lamp. When reading her ad I noticed that she was asking 19.95 for hers, mind you, a 2nd hand one! Nonetheless I checked the website, and in fact, I stand corrected, the lamp now costs 19.95.. which is exactly what she charges for her 2nd hand one. “there’s is nothing wrong with it” she claims in her add. Immediately followed by “that’s is one of the reasons I am getting rid of it”. Guess she is in fact looking for a lamp with something wrong with it? I think there’s a lot wrong with that lamp….. Mental note to self, never do business with Misz Persia. She sells you used stuff, doesn’t hide that it is not new, yet charges exactly the same as the shop does. Try doing that with a car!